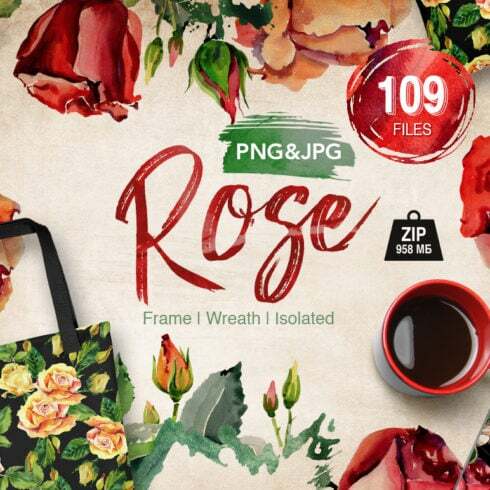 Graceful rose flowers watercolor set of 109 files. Ideal material for DIY, wedding invitations, greeting cards, quotes, blogs, posters and more. What exactly is a graphic bundle? If you’re a artist focusing on multiple projects simultaneously, you see the importance of the whole bunch of design items at hands. Searching for those components one at a time, you spend whole lot more time and cash . To obtain all of the needed elements in one package, we advocate experimenting with graphic bundles. 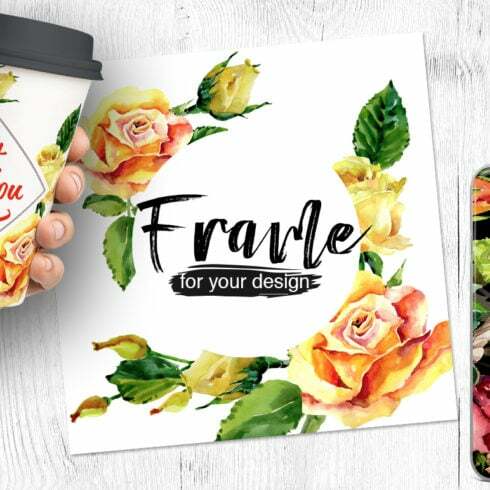 A bundle can be described as a collection of design components needed for graphic design, priced at thousands of dollars, however sold at a drastically reduced price tag for a limited time. Given that all the packages differ from one to another, each individual graphic designer will find the required collection for a unique venture. Browsing them you’ll find the collections including illustration swatches, PPT templates, social media infographics, and much more. At MasterBundles.com , you’ll find more than 450 graphic bundle deals from which to choose. That being said, you’ll not have even an opportunity to leave the site empty-handed. The advantages of graphic bundles for graphic designers are usually quite obvious. But if you are a newcomer to them and now have questions, the following information will be useful for you. Including a large number of the elements within a single bundle, the selection provides you with an opportunity to use different of them for many different tasks. On top of that, the price is often cut down tremendously which allows you to stretch your budget, yet have the whole set worth hundreds or thousands of dollars. The way to save a whole lot more funds on MasterBundles products? Would you like a 5% discount on any deal from MasterBundles? What you need to do is just share the page with a package on social media (Facebook). MasterBundles presents you a large variety of different products. MasterBundles.com offers not only graphics packages but additionally approximately 20 other different types of goods. Fonts, WordPress themes, mockups, icons, photos, illustrations, presentation templates and much more – on the MasterBundles.com it is possible to locate all of the graphic elements, vital for a design. The watercolor graphics package deal can be described as a package made up of images and drawings painted with watercolors. They’ll properly come in handy for a variety of companies, like fashion, cosmetics, perfume and food distributors. 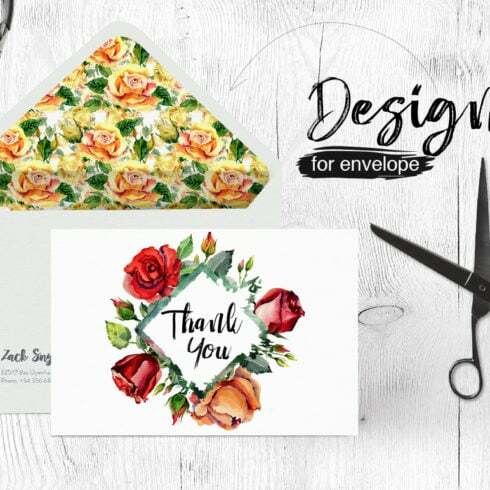 Cards or wedding invitations is also created using this bundle. Whether you feel as if you’ve lost loads of time while looking for different resources and components for your current graphic design projects, it is about time to understand more about MasterBundles.com. It is a marketplace offering the hottest tools (icons, graphics, watercolors, logos, presentations, fonts etc.) for graphic designers, marketers, and developers at a reasonable price for a very limited time. Besides, you can use coupons and promo codes for particular offers. In order to not miss out on major info regarding the future promotions, we advise following our blog and subscribing to the email newsletter.